Because of all the recent 'Secure in Place' alerts from Public Safety and other campus safety issues (e.g., phishing, spam), we have put together a page to help users stay on top of the information they need. EKU offers two ways to know about and report emergencies. 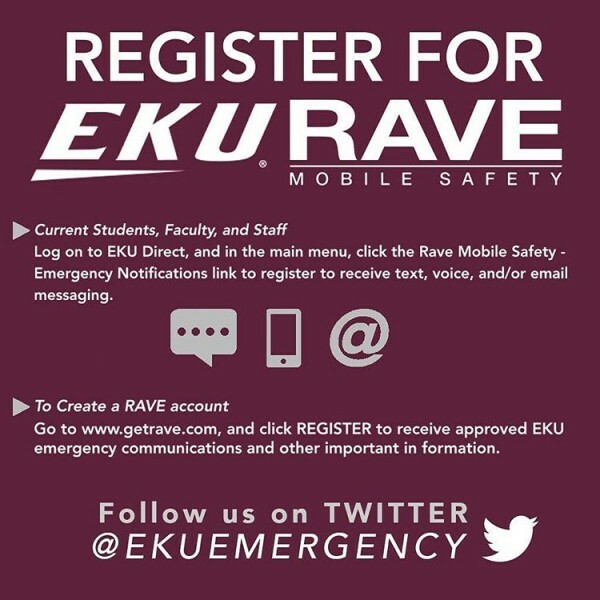 The EKU Alert system is RAVE Mobile Safety and our mobile security app is called LiveSafe. What to do when Public Safety announces 'Secure in Place' for the campus. Watch your email for IT Notice alerts. Ignore & Delete obvious spam and phishing without clicking or downloading anything from the email or text. Remember that EKU will never ask for your passwords or other personal information via an email.